Workshop – Planning your dream wedding! 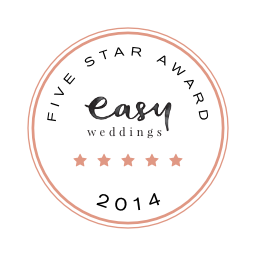 Now ask yourself this question – “Do I want a perfect, stress free Wedding Day?” Of course you answered YES! At our Wedding Planning Workshops, you will learn exactly where to start and how to create your dream wedding! You will gain a wealth of information on how to organise a wedding with confidence and be able to make more informed decisions. Spend the morning listening to a professional Wedding Planner and then have your questions answered! Avoid expensive mistakes and make the planning of your wedding an easy and enjoyable task!! The session begins with expert advice from the principal planner of Sophisticated Weddings. Where to begin? – What’s important to you and your partner? Budgeting Tips – Spend your money on what’s important. Timeline for the wedding planning process – keeping it realistic! Booking Suppliers – asking the right questions! Latest information on traditions, trends and DIY projects! As well as lots of hints and tips on ensuring you have a fun & relaxing day! Then we will have a Q & A at the end of the session for any other questions. The top 5 reasons you need to attend this workshop! you want your day to be perfect! you need help choosing vendors! Come and learn everything you need to know about planning your dream wedding.